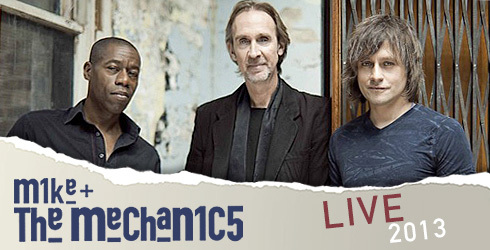 Mike + The Mechanics are back on the road this summer. Some dates are scheduled for May-July in Europe, while further activity has been confirmed for 2014 - for the Living Years 25 jubilee. Mike explained his plans to us in an interview this year (the interview can be found here). Information about the Living Years 25 tour can be found on the Living Years 25 tour dates page. Find here all dates and ticket info for the 2013 shows here. Please note: The spring / summer shows 2013 are "normal shows" and DO NOT relate to the Living Years Anniversary! The Living Years 25 Shows are scheduled in early 2014 (click here)!